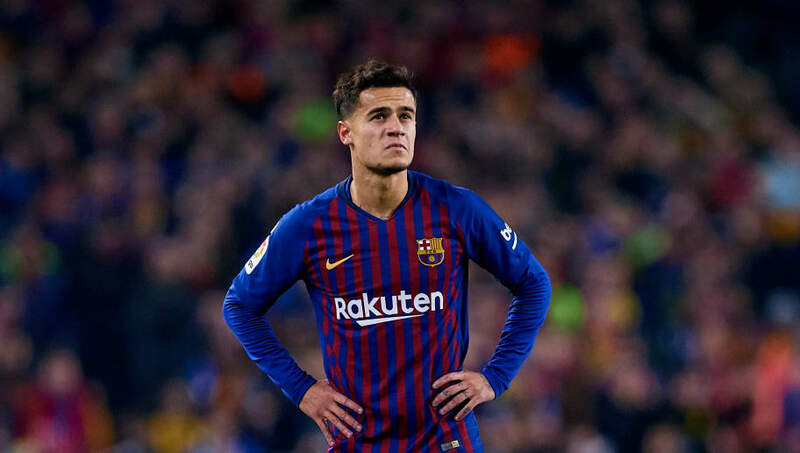 With his performances still not meeting the expectations of his £142m price tag, ​Barcelona are reportedly making inquries over a potential summer exit for Philippe Coutinho. La Blaugrana feel as though they have not seen a return on investment from their most expensive signing in history - leading to speculation that Coutinho could be heading for the exit door within 18 months of his arrival from Liverpool. Struggling to find his feet in the ​Barcelona first team, the Brazilian has been used as both a left-winger and as the most attacking-minded of the midfield three but has looked like a passenger in most of his appearances so far this season. And now Marca report that the club are preparing to listen to offers for Coutinho, which represents a stunning reversal in fortunes for the 'little magician' following his excellent spell at Liverpool. Ernesto Valverde has been incredibly patient in giving Coutinho multiple opportunities to play himself into form, however disappointing displays in his side's most recent games have gone no further to establishing any genuine faith in the 26-year-old. Having failed to track back for Sevilla's first goal in their 2-2 draw last week, Coutinho then produced a display worthy of a substitution with over 25 minutes left to go in the first leg of Barcelona's Copa del Rey semi-final tie with ​Real Madrid. With ​Ousmane Dembele returning from injury in Barcelona's last game and the arrival of Frenkie de Jong already confirmed for 1 July , the midfielder is running out of opportunities to stamp his place in the first-team. The performances of his compatriot Arthur aren't helping the former Liverpool man find a consistent place in central midfield, which is his most natural position. In regard to his former club, the reasons why Liverpool manager Jurgen Klopp felt okay sanctioning the sale of his star man have reportedly been revealed, accord​ing to Sport: "It’s thought the player’s talent is ‘limited by his physical capacity'", and Coutinho "lacks the lung capacity to be a long-range midfielder."  On this day in 2013, Liverpool signed Coutinho for £8.5 million. ⚽ He scored 54 goals in 201 games. 螺 They then sold him for £142 million. This doesn't come as much of a surprise, as the Liverpool manager has made a habit of finding midfielders with an excellent engine. Arrivals of players like ​Alex Oxlade-Chamberlain and ​Georginio Wijnaldum highlight the importance of relentless effort in Klopp's system. It almost seems as though Liverpool were sensible to collect such a large fee for the Brazilian whilst they could, though it remains to be seen whether or not Barcelona will feel the need to do the same thing.